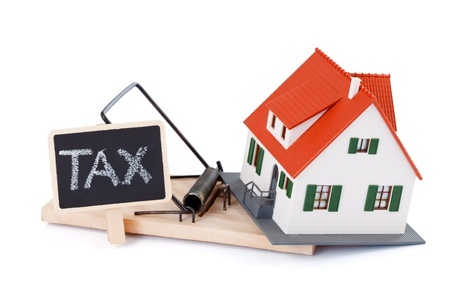 A Quick Guide to Real Estate and Taxes | Passive Income M.D. Many physicians purchase condos/homes/apartments utilizing a doctor loan and after their training turn it into a rental property. Once real estate is converted to rental use it is classified as passive income for tax purposes. The next question is how much tax will you pay when you sell the property? In general, selling a rental property generates capital gains. That’s easy, so the entire amount of gain is taxed at 15% right? Close but not quite. The amount you took in depreciation deductions is taxed at 25%. Make sure to do some planning before disposing of any rental property because your adjusted gross income may exceed certain thresholds that would trigger a tax hike. After the end of the year you receive a K-1, which reports your share of income and expenses from the partnership. These income and expense items are reported on your individual tax return as a passive activity. Similar to a rental property, passive losses can be accumulated and used in the year in which the property is sold to offset any gains. Crowdfunding allows you the opportunity to potentially invest in more properties without the cash outlay of owning it all on your own. If you want real estate exposure with the least amount of time and effort, REITs are the way to go since they are liquid investments that easily trade on major stock exchanges. The underlying expense ratio on REITs tend to be higher than index funds and may result in a higher tax cost. If the thought of owning a property, managing it and being a landlord sounds enticing, then consider purchasing a rental property. Want the best of both worlds? A syndication is a good hybrid approach – money is pooled together to provide more investment opportunities. There is no right or wrong approach to real estate investing – pick the type that works well for you.